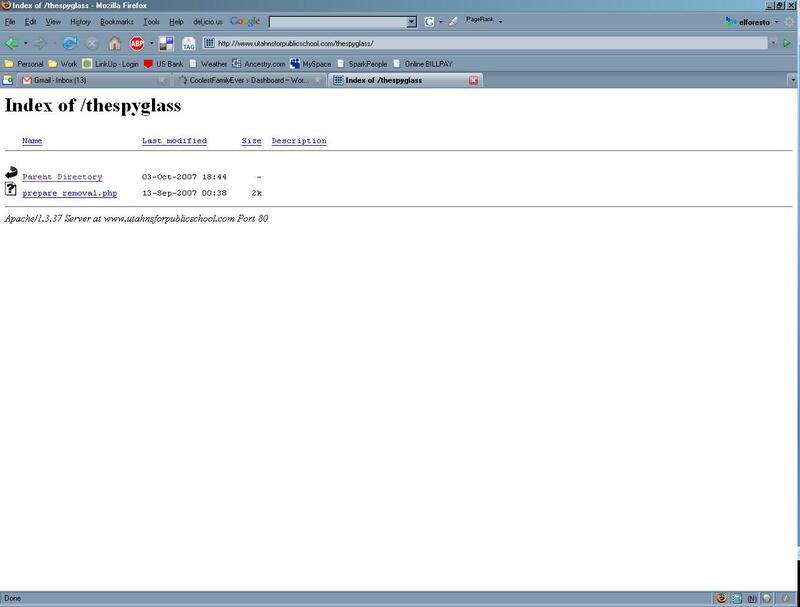 Why would UtahnsForPublicSchool.com (no S at the end) have a directory on it named thespyglass? And isn't a funny coincidence that the e-mail originated from ssl-mail.com, the same site that services Mark's sent.com e-mail address? Something in the air smells pretty funny and I haven't even gotten the headers of the original message that got sent out. I'm expecting all kinds of additional irregularities to pop up once that arrives. Then again, Mark may have just gone ahead and done it all by himself, trying to be a hero? “I have 15,000 subscribers! AND a job with PCE! I love Amway! I love WalMart!” You know … ? Previous story Was Mark Towner Behind the Voucher News E-mail?